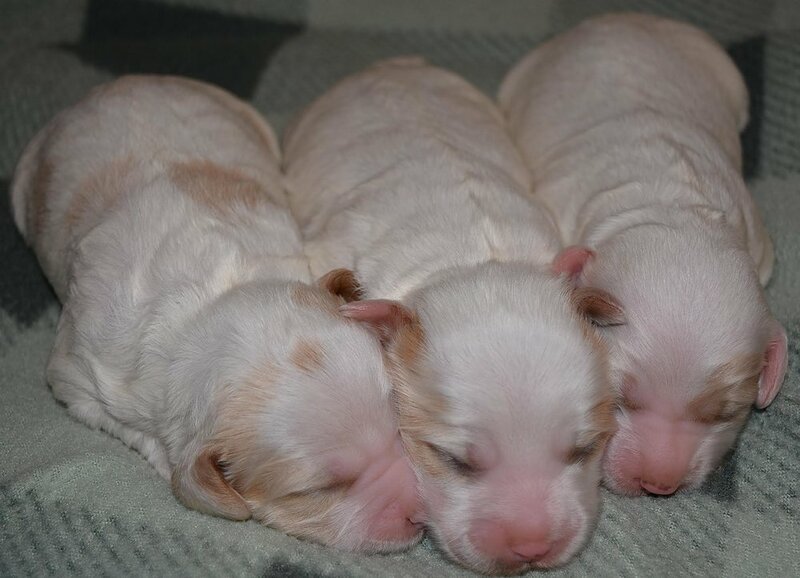 Tasha's puppies are one week old! Tasha & Panda Bear became proud parents to five apricot parti babies last Sunday! Tasha is an experienced mama and loves her sweet family. The puppies markings are showing more and more each day and they will be much like their lovely mama. Next week their eyes will be opening and they will be getting more and more mobile. Lots of interesting and wonderful changes each and every day.